In 2017, the UN-bound mechanisms are hardly in use when it comes to finding practical solutions on a number of important issues related to global security. Moreover, it is hard to disagree with Bisley who argued that the post-WWII interactions between the US and the former USSR – “the most important relationship in post-war international security”2 – were not part of the UN Security Council’s activities. These days, the UN’s evident incapability to adequately respond to the challenges ‘produced’ by the Russo-Ukrainian War, Boko Haram, the European migrant crisis, and North Korea (not to mention the existence of ISIS/Daesh) is legitimately turning students of international relations to question the UN-based system’s sustainability in the long run. But is there any new international system in the making, and if there is, what are the most striking features of a new framework that is yet to be developed? For this small observational material, the claim will be as follows: whatever ‘look’ the new international system will adopt, there will be two major elements of its externality – NATO’s more pronounced strategic cooperation with its ‘partners across the globe’ and China’s more refined interactions within its ‘Belt and Road Initiative’ (BRI). Back in November 2015, John J. Maresca, while delivering his keynote at an international conference in Seoul, reminded the audience that it was no other but NATO that made the first attempt to suggest to the Soviet Union to have a discreet talk on what was later formatted by the groundbreaking Helsinki Accords.3 Even though the attempt was unsuccessful due to the USSR’s unswerving ‘no way’ to deal directly with NATO on solving a triple ‘basket’ of difficult issues, the aspiration was historically counted in. It was clear that, in the 1970s, NATO as an organisation was ready to take possession of this world’s major actor, which would earnestly talk the language of geostrategy. It is something to remember when the debate is on a range of new actors – with both conventional and not so conventional background – that are in the line to join the circle of decision-makers on the rumbles of the UN’s existing version. Together with the European Union (EU) and, perhaps, the Association of Southeast Asian Nations (ASEAN), representing the non-conventional group that never existed when the Yalta-45 scheme was being crafted, NATO is arguably the strongest of them all. In this context, one may argue that the organisation’s interconnectedness with its ‘partners across the globe’ should be analysed more precisely, keeping in mind NATO’s prospective (already real?) global actorness and its burgeoning relations with the Asia-Pacific. In communication with its global partners, NATO, while collaborating with them on an individual basis, attempts addressing both traditional and non-traditional security threats in the comprehensive context of cooperative security. The 2010 NATO Lisbon Summit was a game changer in that respect, after which the Alliance literally decided to “better engage with partners across the globe who contribute significantly to security and reach out to relevant partners to build trust, […] and develop practical cooperation”4. Now, this particular partnership has a distinct emphasis on the Asia-Pacific and includes Afghanistan, Australia, Colombia, Iraq, Japan, the Republic of Korea, Mongolia, New Zealand and Pakistan. Notably, the country on the Green Continent is slightly higher in informal ‘ranks’ after receiving the status of an ‘Enhanced Opportunities Partner’ in 2014. Such a remarkable geostrategic development has given NATO a suitable framework to directly communicate with the specified southeast (and elsewhere) on a number of truly global challenges. But what about the partners? Are they ‘on the same page’ with the Alliance in terms of their understanding what the partnership means? What do they think of NATO? How do they perceive it? A transnational multi-year study ‘NATO Global Perceptions – Views from the Asia-Pacific Region’5 made an academic difference in the process of answering those questions. The Alliance’s media images and elite perceptions of NATO in Australia, Japan, Mongolia, New Zealand, and Republic of Korea were analysed, focusing on the organisation’s visibility, local resonance, perceived capability and legitimacy as well as emotional charge 6. The study’s unique findings, widely anticipated to be read, are to be published by Asian Security as a Special Issue in 2017. In the context of this article, however, the highly specific framework on NATO’s cooperation with the Asia-Pacific can be considered academically captivating from only one single (and ultimately the main) perspective: when NATO is figuratively ‘moving’ southeast to establish a certain level of cooperation with Asia and the Pacific, it will, with necessity and on the way, ‘meet’ China that is ‘marching’ westwards. The above key speech was also featured by notes on opening up “a major transport route connecting the Pacific and Baltic” and intentions to “actively discuss the best way to improve cross-border transport infrastructure and work towards a transport network connecting East Asia, West Asia and South Asia”10. These were the ‘outward’-aiming words of the Chinese President, but discourse wise they were arguably linked to the ‘inward’-aiming statement made on 29 November 2012 by the same personality who had just been appointed as the General Secretary of the Central Committee of the Communist Party of China: “We are now all talking about the Chinese Dream […] [to achieve] the rejuvenation of the Chinese nation”11. Visibly, the ancient ‘outward’ Silk Road- and the modern ‘inward’ Chinese Dream-bound metaphorical way of presenting the concept was intended to place an emphasis on both economic and cross-cultural dimensions of the grand initiative. Any possible security-related geo-political aspects that could be deemed to be speculatively associated with the BRI are literally non-existent in the official primary sources and, quite often, denied by China’s leadership. This approach is the official point of reference for China-originated scholarly discussion on the BRI, but there has to be an academic reflection on it. For example, one scholar claims that the BRI is an “international economic cooperation project” that has plenty to do with economic liberalism, even though the initiative “will produce influence on regional and global order”12. Another commentary does not deny “the relevance of geo-politics” in this particular equation, while still arguing about “political elevation of pre-existing policy ideas and practice at the sub-national level in China” and claiming that the whole concept is about “spatial fix” rather than geo-politics13. Wang Jisi’s major standing point is that “China is neither east nor west; not north nor south”; the scholar also denies that China is either a developing or a developed country14. Despite this middle-ground position, Yun Sun, for example, argued that Wang’s theorising with his ‘March West’ vision is still to be centered on “enhancing China’s presence, resources, diplomatic efforts and engagement in Central Asia, South Asia and the Middle East” since this direction “bears no […] risks” in terms of generating prospective difficulties in China’s relationship-building process with the United States15. Additionally, it could be suggested that the Wang’s ‘middle-ground’ interpretation is conceptually associated with particularities of ‘Chinese characteristics’ that are linked to almost everything in China – politics, power, democracy, family, socialism, way of life and even cuisine. In this respect, the most resent revision of thesuper-holistic concept of ‘Tianxia’ (天下) – ‘all-under-heaven’ – strikingly resonates with the BRI-related activities that are certainly ‘all-on-the-ground’. Should we make an effort on identification of relationships between China and its BRI-bound partners, it needs to be mentioned that the idea was initially linked to China’s interconnections with its neighbours. This argument is fully confirmed by the fact that, in his book, The Governance of China, Xi Jinping placed his major initial speeches on the BRI within a chapter titled ‘Neighbourhood Diplomacy’16. In a far more explicit way, as cited by Fallon, the People Liberation Army’s Major General Ji Mingkui allegedly noted that “‘New Silk Road’ provides a useful economic carrot to deal with the majority of security problems China has with its neighbours”17. In short, this world is to experience a remarkable decade when a new international system will be built or the old one will be significantly redeveloped. The BRI-related interactions as well as NATO’s cooperation with its partners across the globe are and will be influencing the process. Stay tuned! 1 Charter of United Nations, Chapter II, Article 3. 2 Bisley, N. (2012). Great Powers in the changing international order. Lynne Rienner Publishers, p. 79. 3 Maresca, J. J. (2015). ‘Keynote,’ The 2015 KSCES Joint International Conference ‘The Northeast Asia Peace Cooperation Initiative and the Trust-building Process on the Korean Peninsula in Commemoration of the 40th Anniversary of the Helsinki Final Act’, Press Conference Hall and Mae Hwa Hall, Korea Press Centre, Seoul (Republic of Korea), November 27. 4 ‘Relations with partners across the globe’ (2017). Resource document. NATO. http://www.nato.int/cps/en/natohq/topics_49188.htm. Accessed 1 September 2017. 5 The study was supported by NATO’s Science for Peace and Security Programme, Tallinn University of Technology, and the NATO Public Diplomacy Division. 6 ‘Stressing the importance of NATO’s cooperation with the Asia-Pacific region based on academic research’ (2016). Resource document. NATO. http://www.nato.int/cps/en/natohq/news_130030.htm?selectedLocale=en. Accessed 1 September 2017. 7 Wang, Jisi. (2013). ‘China’s dilemma: Marching West but Thinking East. Resource document,’ Public event. ThinkIN China. Beijing. Event 28. http://www.east-west-dichotomy.com/wang-jisi-i-dont-see-why-we-should-not-have-some-benign-competition/ and http://www.thinkinchina.asia/28/ . Accessed 1 September 2017. 8 Narramore, T. (2010). ‘How Many Chinas?’ Australian Journal of Political Science, 45 (3), p. 509. 9 Xi, J. (2014). ‘Work together to build the Silk Road Economic Belt,’ In J. Xi, The Governance of China. Foreign Languages Press Co. Ltd., pp. 315-318. 11 Xi, J. (2014). ‘Achieving rejuvenation is the Dream for the Chinese people,’ In J. Xi, The Governance of China. Foreign Languages Press Co. Ltd., p. 38. 12 Wang, Yong (2016). ‘Offensive for defensive: the belt and road initiative and China's new grand Strategy,’ The Pacific Review, pp. 1 and 7. 13 Summers, T. (2016). ‘China’s ‘New Silk Roads’: sub-national regions and networks of global political economy,’ Third World Quarterly, pp.1-7. 15 Sun, Y. (2013). ‘March West: China’s Response to the U.S. Rebalancing,’ Resource document. Brookings. http://www.brookings.edu/blogs/up-front/posts/2013/01/31-china-us-sun. Accessed 1 September 2017. 17 Ji M. as cited in Fallon, T. (2015). 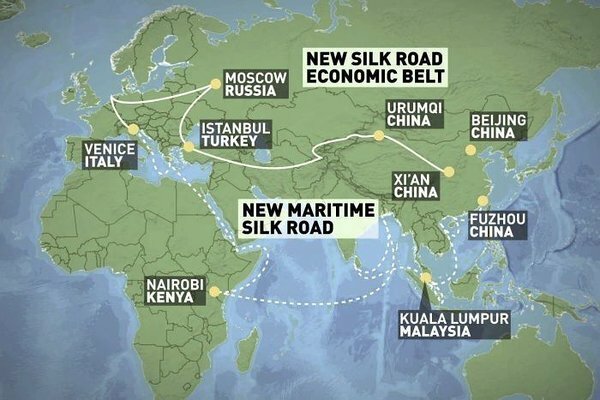 The New Silk Road: Xi Jinping's Grand Strategy for Eurasia. American Foreign Policy Interests, 37 (3), p. 141. * This article is partly based on Vlad Vernygora, ‘The Belt and Road: Gently Rebuffing Geo-politics?’ in China-CEEC Cooperation and the ‘Belt and Road Initiative’, eds. Huang Ping and Liu Zuokui (China Social Science Press, 2016), pp. 1-12. 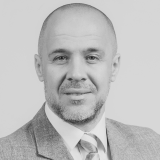 Vlad Alex Vernygora is a DSocSc Candidate at the University of Lapland and lecturer in International Relations at the Department of Law, Tallinn University of Technology. From October 2014, Vlad Vernygora has been managing the operational side of the NATO Science for Peace and Security Program Project, ‘NATO Global Perceptions – Views from the Asia-Pacific Region’.